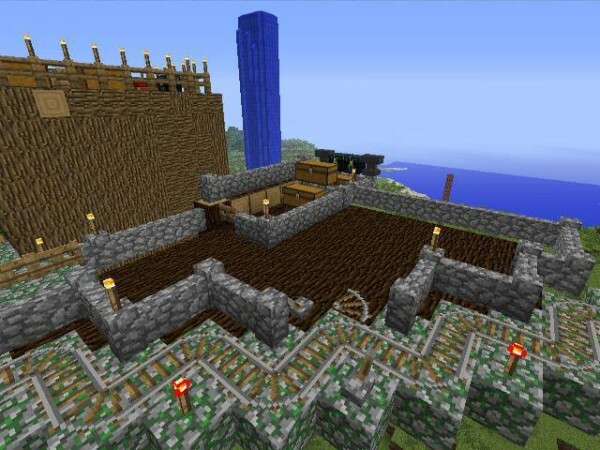 With like a zillion downloads to date, Minecraft is one of the most popular games of all time and it’s here to stay. Rather than rebelling against your child’s passion for the game, embrace it and use it as a teaching tool! My son has learned so much by playing Minecraft. 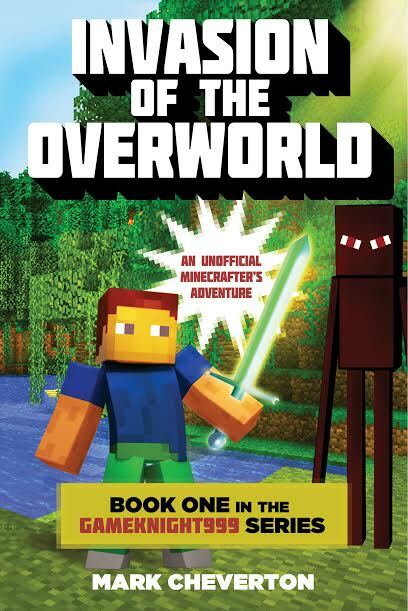 A few months ago, Jacob and I read and reviewed Mark Cheverton’s Minecraft-based novel, Invasion of the Overworld. Today, I’m happy to have Mark here to share a guest post about the inspiration behind his book, along with a few tips on how you can use Minecraft as a teaching tool over the summer. I’ll turn this over to Mark now! The Minecraft world images with a credit to Jacob Etolen in the caption are my son’s creations. This post also contains affiliate links. I want to tell you how you can use the thing that many of our children are obsessed with, Minecraft, to keep them learning over the summer. But before I explain that, I’d like to give you some background, so that you understand the bizarre path I traveled to get to this point. I’ve come to love playing Minecraft with my son. I didn’t get here easily. In fact, my son dragged me here kicking and screaming, but now I love it. After months of hearing him beg, my wife and I finally caved and purchased Minecraft for our 7-year-old boy. He was so excited. Instantly, he was building incredible cities in the clouds, underwater villages, bridges of glass, towers of fire and many other unique creations. Minecraft released his imagination and it was now an unstoppable torrent. He had so much fun on the game that we bought a server for him, so that he could play with his friends in Minecraft. I think we paid $8 a month for a slice of some server in some server farm out there in cyberspace…and his creativity blossomed. Now, our son was having his friends build with him…which was a big deal. He is incredibly shy and making friends is difficult for him. So to have him interacting with other kids, building with them, going on boxy adventures through Minecraft…it was worth every penny. He came into the living room in tears, sobbing the saddest tears that we can all imagine. That’s the hardest thing for us to hear; our own child’s sobs of dispair. We asked him what was wrong, and learned that one of the visitors to his Minecraft server destroyed everything. They flattened all of his creations to the ground. And worse yet, they recorded the process and put it on YouTube. When he saw the video he was crushed again. The boys doing this mocked him, made fun of him, called him names, and did everything they could do to maximize their destructive behavior. “What did I do to deserve this?” my son asked. I tried to explain that it wasn’t about him. It was the boys, griefers as they are called in computer-land, that had the problem, but he couldn’t understand. I tried to explain why these kids would do this, but my explanations were ineffective and fell flat. He still felt the sting of blame and responsibility for the terrible incident. He finally rebuilt his server after a hiatus from Minecraft, but the boys returned late one night and destroyed his reconstructions, creating another video for YouTube. They continued this cycle of cyberbullying over and over again. Not understanding how the security and software plugins worked on Minecraft servers, we were unable to stop these kids. Our only recourse was to drop that server and get a new one. That was when I decided to write Invasion of the Overworld. I wanted to teach my son about bullying and why it wasn’t his fault. So I used the thing that he was the most obsessed with, Minecraft, to deliver the lesson. I sat down and wrote the book. It took maybe six months to finish, and after getting a copy printed, we read it at bedtime. He got it! He understood why it wasn’t his fault; it was about the bullies feeling the need to hurt others so that they would feel good about themselves. What a great teaching moment! Reading the book to him, with his Minecraft character, Gameknight999 as the protagonist, will probably be one of the greatest experiences of my life. After reading it to him, I put the book up on Amazon, just for fun…and it took off like a rocket. That first Christmas, Invasion of the Overworld made it to #29 in Amazon’s top 100. It was then picked up by a publisher and recently made it to the New York Times Bestseller’s list. Now, I have multiple books being published in 15 countries and being translated into seven languages. But all that success is secondary to something unexpected that happened. What a fantastic victory. I thought this made it all worthwhile…but then it continued. I started getting emails from kids saying my books inspired them to write their own books. I’ve heard this from hundreds of kids, that they want to write…that writing looks fun and cool. WOW! A second victory! Now to the title of this article. We can use this fact: My books are getting kids to write their own Minecraft stories. We can leverage this interest in writing over the summer, to keep them thinking and learning. Let me share with you some things I’ve heard from librarians and book club leaders in elementary and middle schools. Teachers and librarians have started forming writing clubs around Minecraft, and you can do the same. 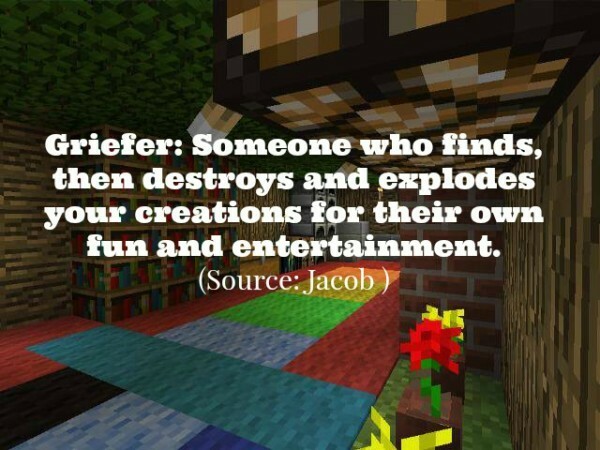 People have emailed me, telling me that they meet with their circle of friends and children to talk about Minecraft…not just about how much they like the game, but about what kind of stories they can create. They are having their kids work collaboratively to create these stories, write them, then go back into Minecraft and build scenes from the stories they create. I think this is an important link. We need to keep using Minecraft, the thing that our kids are obsessed with, to drive these activities. If they just become writing sessions, likely our kids will lose interest. But if you continually link it to Minecraft, then it stays fresh. Many parents have told me that the hardest thing about this is getting the ideas started. On my website, www.markcheverton.com, there is a section called Story Fun. In there, and in the Blog, there are countless stories that have been submitted by kids, some of them strung together into a long story, others just story fragments, but there are ample ideas to spark kids’ imaginations. Parents have told me these story snippets have helped their kids to get started. And let me tell you from experience…getting started is the hardest part about writing. The second hardest part is to keep writing. It’s really easy to just stop when it gets difficult, and that’s where you can use Minecraft. When kids get stuck in the story and don’t know what to do next, have them build the part where they are stuck, and act it out in the game. When I’ve suggested this to kids and parents, they all come back with positive results. There are so many people using Minecraft in Education, and I’m sure you’ve seen numerous summer programs around where you live. We’re sending my son to two of them this summer; programming your own mods, and using redstone to make contraptions. There are countless ways we can use Minecraft to help our kids, and there are tons of websites on the Internet talking about these ideas. If we can leverage this computer game to help them to keep learning over the summer, and in September they have their own story to show off…what a fantastic victory that would be! Mark Cheverton (markcheverton.com) majored in physics and math as an undergraduate in college and went on to teach in public schools for 15 years. While teaching he earned a master’s degree in physics. 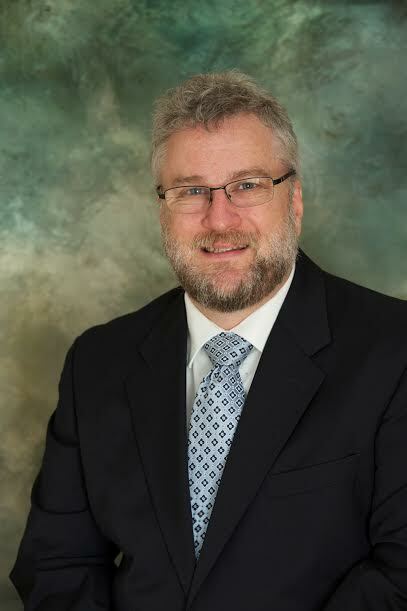 He later went on to work for GE’s Global Research Center, where he researched laser welding , 3D printing, machine vision, process monitoring and machine control. He began writing his Minecraft series to help explain difficult lessons to his son, now 11. Those lessons include taking risks, a willingness to try something difficult and how to be brave. The books also address the sensitive topic of bullying. My heart broke for the child and parent reading the story about the cruelty the boy experienced. How wonderful that the father created a lasting, memorable work out of the tragedy! Not only was it a lesson in why bullying is not the victim’s fault, it showed that our experiences can create eternal stories and memories even if the physical results of those efforts are destroyed. The legend of Gameknight999 shall live on! Bullying is such a widespread problem was so sad to read that part in the post, So happy you wrote Invasion of the Overworld! What a aweome story here! 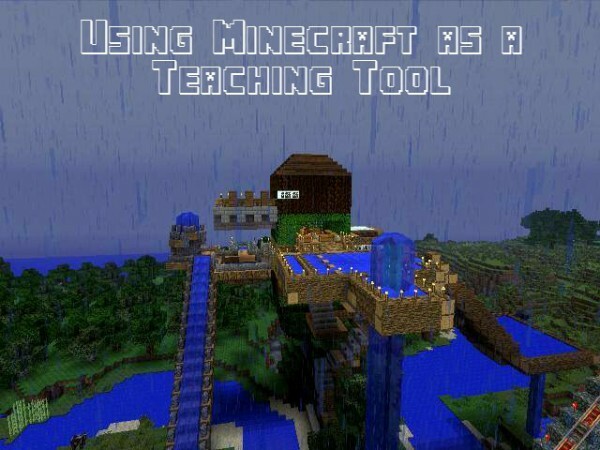 Minecraft is the perfect teaching tool! WOW! This is really an incredible site called Minecraft and my son loves this game. I have not had him tell me of anyone destroying his stuff though. I think that this is mean to bully like this on the Internet and especially through a game. You can learn a lot of things by playing Minecraft and it is one of the funniest games I have ever played! My daughter is addicted to this game but I’ve never played it. Huh, never expected to use this as a learning tool this summer. But it does make sense since kids learn more through play and this is definitely a good choice, a helpful one at that. You know, my son loves to read. BUT if it’s a Mincraft-based book, he loves to read more often. What a great way to work in a valuable lesson.